Some of the most dramatic movie scenes come from cracking the case. All throughout the movie, the mystery remains, until everything comes together. Some of the most intense of these scenes come from safe crackers who are trying to break into a safe. Various movies have tried different ways to show breaking into safes. Some force entry by determining the combination, or finding the key somewhere convenient. In these methods, usually a listening device is used to hear the clicks of the rotary combination on the lock. Other films show well thought through plans that involve defacing the vault to enter, sometimes using explosives to reach the contents. 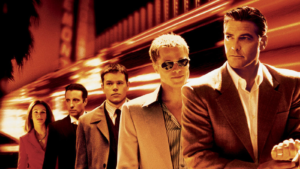 Ocean’s Eleven is one of the best heist movies today. The 2001 remake depicts some of the same elements as the original produced in 1960. With a full cast of criminals ready to break into whatever they can, there is no shortage of attempts to break into safes in this movie, and the two following it. The recruits that Danny Ocean brings to his group after being released from prison work together to commit crime. Through social engineering and physically sabotaging security systems in the film, they are able to break into the safe. 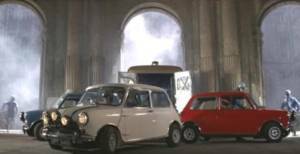 In The Italian Job, the whole plot deals with trying to break into a safe. John Bridger has put together this final job, along with his daughter Stella. The safe they recover is worth millions in gold. Although they are initially able to steal the safe, they run into unexpected problems along the way. By the end of the film, Stella is able to crack the safe. Those individuals remaining as part of the team split the money in equal proportions and go their separate ways. Although these movies are fun to watch, nobody wants a safe that can be broken into, even by professionals. Give us a call to purchase some of the most secure safes available. Keep your belongings safe no matter what happens.